Queen bed and window to view the back part of house where there is beautiful garden. View from bedroom : Hall way to the Kitchen. Beautiful Garden that can be seen from the bedroom's window. View from the bedroom window. 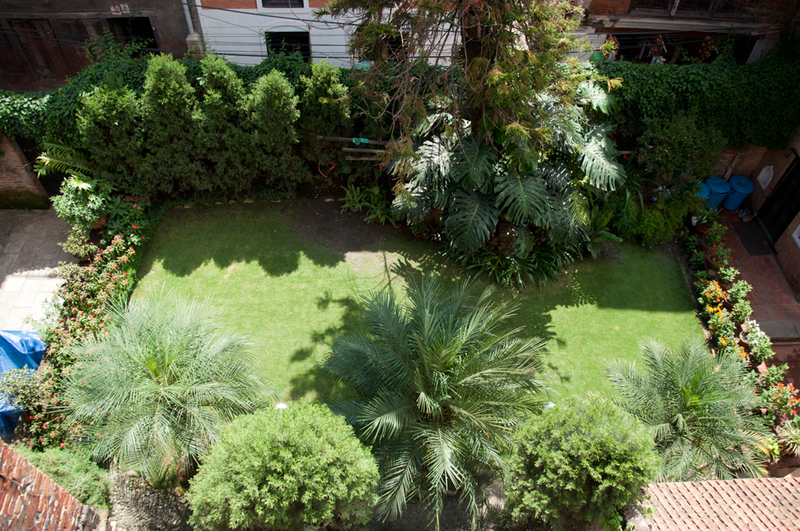 Typical Newari House and beautiful garden. The sitting space of the living room. Functional, clean and modern bathroom with hot shower and good pressure. Beautiful view over Kulimha Temple on one side and the peaceful Newa Chhen’s garden on the bedroom side. Dohka at all time of the day and night. The vibrant local life of the Newars (the original ethnic group of the Kathmandu Valley) guarantees you a very rich cultural experience!